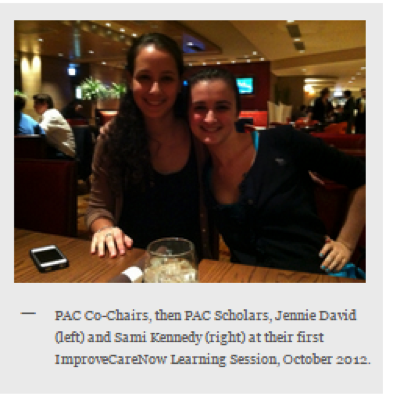 What does an engagement campaign have to do with a healthcare quality improvement network? ImproveCareNow leaders were wondering the exact same thing before we began learning from our friends at 270 Strategies (experts in both political and issue campaigns!) Their team is teaching us how to apply successful campaign strategies to engage a large and diverse community of people in helping kids with IBD get better, now. Quite simply, ImproveCareNow invites clinicians, parents, patients, researchers, and others to learn about our work and to lend their time, talents, and expertise so together we can learn and find innovative new ways to outsmart IBD. And right now we’re learning how to make it easy for everyone to connect with ImproveCareNow in the ways that work best for them and ensure we can harness and value each person’s unique and generous contributions - making it meaningful and rewarding to be a part of our community. Campaign pilot centers are beginning to reframe their ICN teams with the “snowflake model” in mind. The snowflake model is a way of organizing people that decentralizes leadership and increases two-way communication. Basically it makes it easier for everyone to share the work and contribute to the success. These centers have found that creating a snowflake does not necessarily mean more work for the existing team, rather, it often involves reassigning people in ways that make it easier to get existing work done more efficiently. “Hard ask?” – that sounds hard! Everyone’s story matters, and is important, and can change someone else's story. 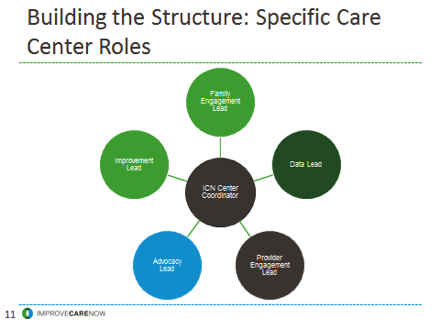 More than ever, we are seeing how stories are key to helping potential partners understand what ImproveCareNow is all about and how they can fill important gaps in the community. Our Spring Community Conference is just around the corner and we are seeing some inspiring stories as part of the pre-work, stories that make very clear just how much our Network attracts those who want to join in and become a part of our success. What this means to patients and families. Meanwhile, we still have a lot to learn. 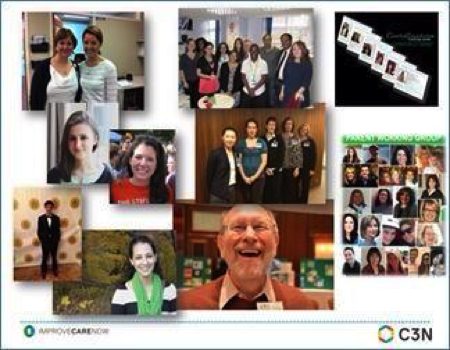 As the campaign unfolds, the ImproveCareNow leadership team knows it has an enormous responsibility to continue to ensure the network’s success, and to help develop a system that offers tools and opportunities for co-producing health and real partnerships. And we will be the first to admit, we have a lot to learn! We need your input as we go. We want to have open, transparent discussions about the challenges and opportunities ahead so we hope to engage more of you on twitter and other social media venues to take part in an ongoing dialogue between Community Conferences and webinars. You can follow @myers3411, @michaelseid11, @PeterAMargolis, and @improvecarenow on twitter and weigh in with your feedback and concerns as we build a bigger, better community together.